Demand Accessible Single-Stall Gender Neutral Bathrooms in ALL Roger Williams University Buildings! There are many in the Roger Williams University community who do not feel comfortable using multi-stall gendered bathrooms for a multitude of reasons. Some are concerned about their safety as members of the transgender community in gendered bathrooms, some have a lot of stress and fear over having to conform to fit in with the gendered bathroom they are using so as not to draw attention, and others are just not comfortable using the bathroom in a group setting. Global Heritage Hall, one of the newest buildings on campus has a distinct lack of gender-differences bathrooms, forcing students to go to the Marine and Natural Sciences building, with is a few minutes walk outside, in order to simply go to the bathroom! Global Heritage Hall is just one example of the many buildings in dire need of gender neutral bathrooms. This list also includes the Center for Student Development, the Campus Recreation Center (including Student Programs & Leadership as well as the field house, the campus gym, Student Senate Chambers, locker rooms, and a conference room), Upper Commons, Lower Commons, the Library, the Mario J. Gabelli School of Business, the Richard L. Bready My. Hope Bay Sailing and Education Center, the Fine Arts Center, the Administration Building, the Law School, the School of Education, the Law Library, the ELS Language Center, the Farmhouse (Glabal and Community Engagement), the North Office Building, and the Performing Arts Center (the Barn). We must use our collective voices to bring this issue to the attention of the RWU administration in order to make a difference! Please stand in solidarity with your Roger Williams University brothers and sisters for a better future! 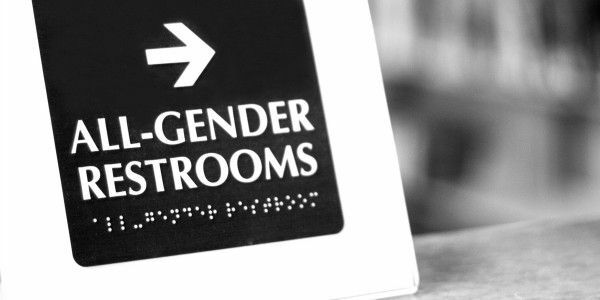 Please sign this petition is you would like to see gender-neutral bathrooms become a reality all across the campus. They are already in place in the College of Arts and Sciences, the Marine and Natural Sciences building, alongside some others. These bathrooms have caused ZERO issues in terms of safety for the overall community and the response has been completely positive. These bathrooms are single stall, have locking doors, and are easilly accessible. The addition of gender-neutral bathrooms across the campus would only stand to benefit the members of our community!